As a Columbus portrait photographer, I realize how very lucky I am to photograph in and around this beautiful city! There are so many options to offer clients when choosing locations. 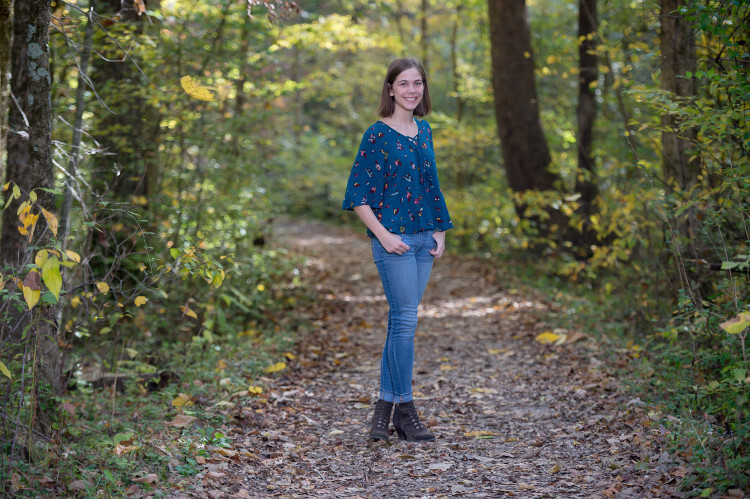 I typically offer 3 or 4 location suggestions and I was excited that this Thomas Worthington High School senior chose to have her senior pictures taken at Blendon Woods Metro Park in Westerville, Ohio. 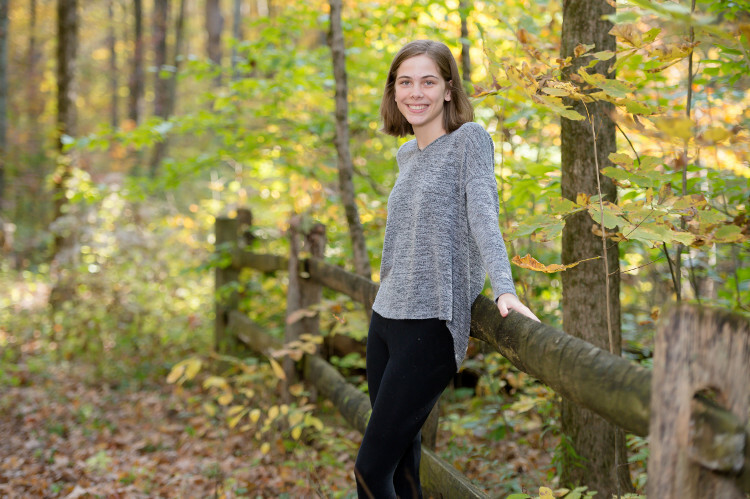 There are several trails to choose from and you don’t have to go very far to find leaf-covered paths, logs, and a bridge to use as backdrops for senior pictures Blendon Woods. Being a fan of utilizing natural light as much as possible, there are plenty of spots on the trails where the sunlight filters through the trees just perfectly. Sometimes it takes some maneuvering to avoid “splotchy” light, and this Thomas Worthington senior was so patient and easy to direct. Thank you, Worthington High School Senior, Jo, for bringing along such a well-behaved companion! 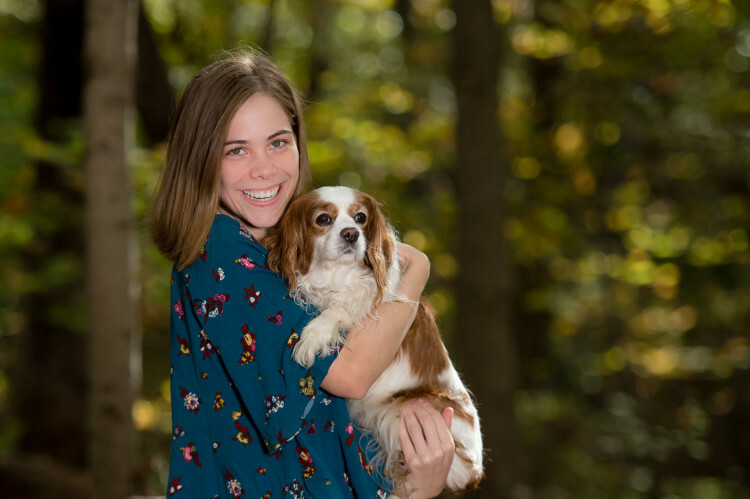 I love including pets in high school senior portraits. 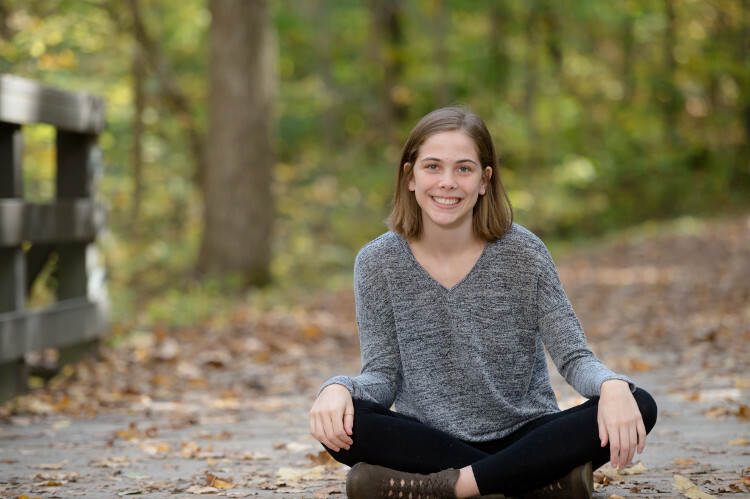 Adding a favorite hobby or pet to your senior portrait photo session personalizes your images and helps me see the REAL you! My goal is that you, your family and close friends see these images and say, “Yes! That’s Jo!” and that your time spent with me in front of my camera was enjoyable. I loved our time walking the trails at Blendon Woods Metro Park. While it was early on a fall Saturday morning, the trails were not very crowded. The hikers we passed on the trail were more than happy to wait while we captured our shot. Thank yo, Jo, for choosing Caught My Eye Photography of Columbus. 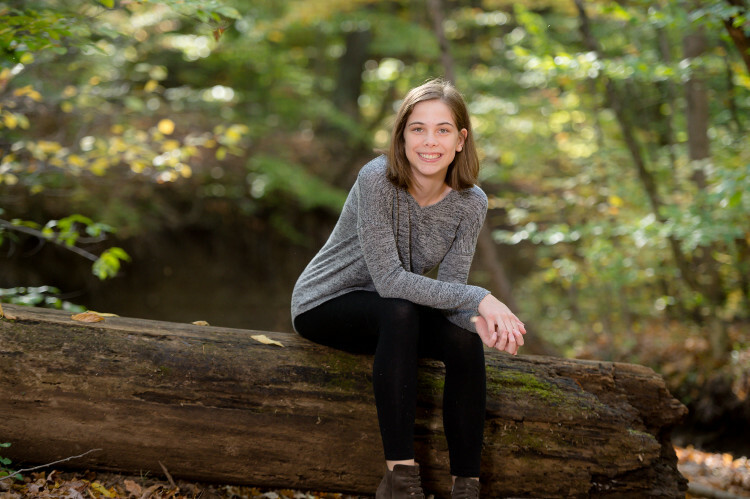 My Sister is a senior and we are looking for someone to do our portraits! These are great! !